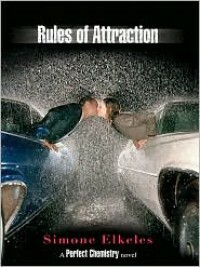 Rules of Attraction is the second book in the Simone Elkeles series,Perfect Chemistry. It follows Carlos who is forced by his mother to live with his older brother Alex (from Perfect Chemistry). He is not too happy about this because he would rather be in Mexico with his family then with his brother who is always trying to get him to do the right thing. 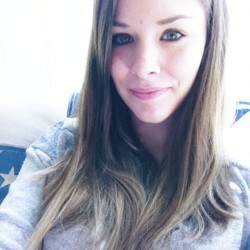 There are no parties, no drinking, and no drugs. Of course Carlos does not follow the rules, so after a run in with the law, Carlos can no longer stay with his brother and has to stay with one of Alex’s professors. Carlos hates that he has to follow the new rules of being in a gigantic house, but he soon realizes he has feelings for Kiara – the professor’s daughter who is nobody he would ever date, but realized that the attraction is so much more than what everyone else thinks. This book is a fantastic love story and follows the same narration as the first book. It switches off from Carlos to Kiara. There are also many dangers involved in the book and just as much love and emotions. You cannot help but fall for this couple and wish that you had everything they had. I was specifically jealous of Kiara’s parents. They were an awesome team in raising their children and did not have too many strict rules. I guess that is because someone in the family has a huge secret that everyone finds out about at some point in the book. Characters from Perfect Chemistry also show up in Rules of Attractionand it makes me that much more excited for the third and final book. If you’re ever in need of a good love story, these are the books to read.